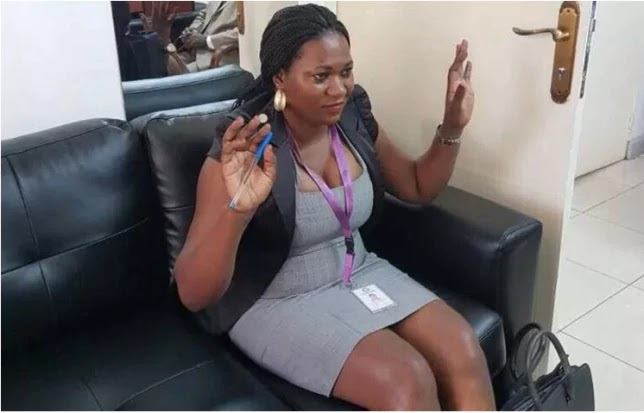 A judicial officer, Rosemary Namuwanga was on Thursday in Uganda, suspended for wearing a short dress to the office. Namuwanga works as a court clerk/ interpreter at Kasangati Magistrate’s Court in Wakiso District. According to Ugandanmonitor, a letter dated September 21, 2017, was handed to the judicial officer. It stated that she was dressed in a very short and tight dress which by description did not fall within the accepted standards of the established Notice No.1 of 2017. The letter read, “This is to inform you that, today September 21, while you were invited to the office of the Permanent Secretary to the judiciary for an explanation regarding non-payment of your salary and allowances for the month July 2017, you turned up dressed in a manner that does not portray a good image of the Judiciary and Public Service at large. Reports say Namuwanga is the seventh civil servant to be affected by the Ministry of Public Service guidelines that were issued early this year banning sleeveless, transparent and tight clothing for non-uniformed officers in Public Service. The Uganda Public Service Standing Orders, 2010, stipulates that officers shall be required to dress decently and in the generally accepted standards in the Uganda Community.